[By Nick] Something we haven’t touched much upon on the blog is soy milk ice cream. I’m not sure why it’s taken me this long to write a review of such a product but I've finally picked up a pint from Turtle Mountain’s Purely Decedent line. Our friend Rodzilla has an obsession with their coconut milk version of cookie dough so even with my hatred towards all things coconut I was pretty intrigued by how good it looked, but then after Dubba’s review of the coconut version, I knew I wasn’t going to give it a shot. Little did I know, Turtle Mountain also produces that same cookie dough but in their soy milk line. So without further ado, I bring to you Turtle Mountain’s Purely Decedent Cookie Dough. 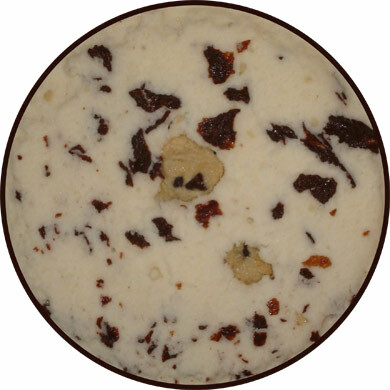 Turtle Mountain describe this pint as “Vanilla dairy-free frozen dessert packed with scrumptious cookie dough chunks and crispy chocolate flakes.” It sounds like your standard cookie dough just with the addition of those chocolate flakes. I have experienced their chocolate flakes in the past and had a positive experience. I’m expecting that they’ll work well in this pint and add a bit of crunch that the pint would otherwise be lacking. 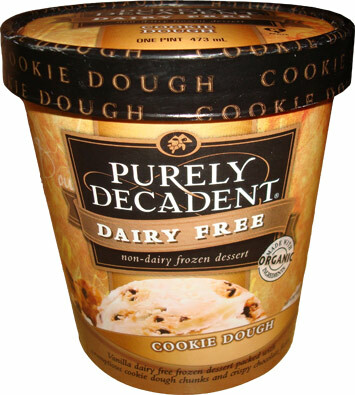 This is the most visually appealing cookie dough pint that I have ever seen. There are literally flakes everywhere! 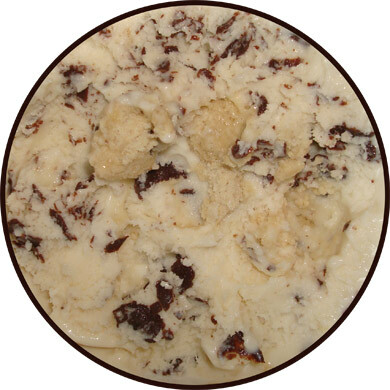 Not to be mistaken for a chocolate chip ice cream, the balls of cookie dough are making their presence known as well. I don’t think I've ever been this excited to eat soy ice cream. Boy this one doesn't disappoint either because the base isn't just your standard vanilla. There seems to be a bit more to it than that but I can’t quite put my finger on. It kind of tastes like they blended up some of the cookie dough and mixed it into the base. Speaking of the cookie dough, for being gluten free you would never be able to tell. These marble sized gems rank up there with some of my favorite cookie dough mix ins. They have an enjoyable chew and notes of brown sugar. Turtle Mountain isn't shorting you on chunks either because it seems like I keep running into a ball every other scoop. Lastly, let’s move on to the chocolate flakes. The top of the pint wasn't a fluke because they were literally everywhere throughout the pint. There's just no way you could get a scoop without the flakes in it. And while they are tiny, they manage to add a substantial crunch as well as a necessary amount of bitterness. You noticed I didn't talk about the texture of the soy ice cream. Well with all those mix-ins it was really hard to get a clear reading on how creamy it was. I’ll just say that if I hadn't known it wasn't normal ice cream, I wouldn't have been suspicious that it was a non-dairy treat. This is seriously one of the best cookie dough ice cream I have ever had. No matter what your dietary restrictions are, this is a great flavor for everyone. Aha didn't realize you gave it another try=p I was about to say how is it possible to keep something so vile in your freezer for over two year? I've seen this around. I may have to pick a pint up next time I run across it.